Home » Home Security » Which areas have Australia’s lowest burglary rates? Which areas have Australia’s lowest burglary rates? When it comes to choosing where to live, everyone’s wish list is different. Some prefer the peace and quiet of the suburbs while others are attracted to the hustle and bustle of inner city living. Lifestyle and affordability can also dictate our home options, from a small apartment, semi or duplex, to a more spacious and luxurious property. Despite our individual living situations, the one feature close to everyone’s heart is safety. No matter where we live, everyone wants their neighbourhood to feel safe with minimal incidences of break-ins and other crimes. So around Australia*, which suburbs have the lowest reported burglary rates, and how can you contribute to a safer neighbourhood? 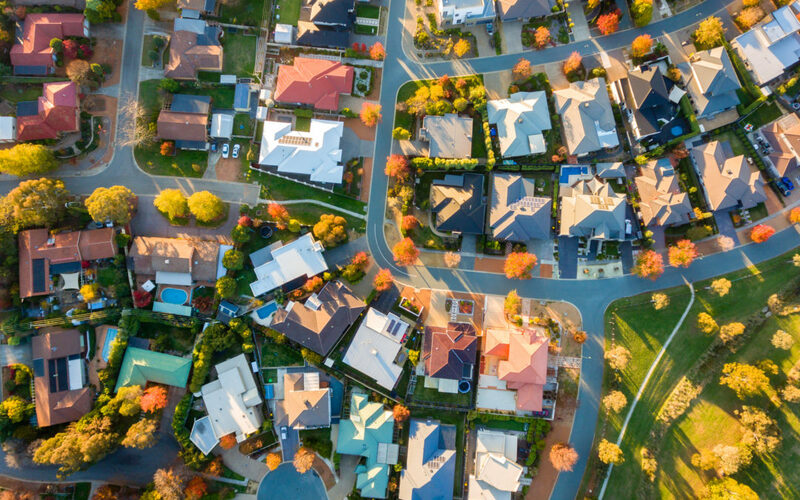 NSW: According to the New South Wales Bureau of Crime Statistics and Research, the suburbs least likely to be targeted by thieves in densely populated Sydney are Lane Cove, Woollahra and those in Sydney’s upper north shore, such as Lindfield and Turramurra, with only 0-9.7 robberies per 100,000 homes during the period of April 2017 to March 2018. VIC: Victoria’s outer areas of West Wimmera, Queenscliffe and Melbourne’s Buloke had the least number of break-ins reported throughout 2017 with just 123, 135 and 141 recorded incidents respectively. ACT: in the nation’s capital, the areas with the least amount of reported robberies for 2017 were the newer areas of Taylor, Jacka and Macarthur. QLD: Crime data reveals Queensland’s safest areas, with the lowest rates of reported robberies per 100,000 people, were the Darling Downs, the South West and Sunshine Coast. NT: The Northern Territory Police identified the area of Balance as having the least amount of house break-ins for the period of July 2017 to June 2018, with 574 incidents reported per 100,000 people; a relatively low figure when compared with Tennant Creek’s 3,035 incidents per 100,000 within the same timeframe. WA: Crime statistics report the safest district in Western Australia is the South West based on  the number of residential burglaries. Regardless of where you reside, Australia is generally considered a relatively safe place to live. Here are a few simple steps you can take to encourage a greater sense of community in your suburb. Do you stop to talk to your neighbours when passing them in the street? Saying ‘hi’ or starting a short conversation is all it takes to get to know people. Recognising familiar faces on your street also helps to foster a much friendlier environment, allowing you and your children to call upon trusted neighbours in times of need. It can be a good idea to share contact details so you can reach each other while someone’s away. Your home’s kerb appeal does more than just ensure your home looks good; it also helps keep it safe. Maintaining external features such as hedges, gates and fences is crucial for deterring burglars as there are less places for them to hide or gain discreet entry to your property. Encouraging your neighbours to do the same, or offering to help mow an elderly neighbour’s yard, will go a long way in ensuring the wider area feels safer. In addition to keeping local councils accountable for maintaining adequate street lighting, installing sensor lights that turn on when they detect motion around the exterior of your home are a valuable investment. Nothing makes a house more secure than a home security system; especially when it’s professionally installed and monitored 24/7 with back-to-base support. The more homes that have a visible, monitored security system installed in your street, the less likely it will be targeted by thieves. Finally, be proactive about engaging with your local community. Most suburbs now have a Facebook group dedicated to the local area, which will enable you to keep up with any relevant crime threats or trends. Nabo also provides an easy way to engage with your community online and offers instant crime and safety alerts for your area. Following these simple steps, and encouraging your neighbours to do the same, will go a long way in helping to create a safer suburb. As an added bonus, you’ll reap the benefits of a friendlier, brighter and well-kept street!